SKU : 006486. Cable Length: approx 10cm. (Les connecteurs sont différents pour le PCI-E). 0.5m IEC Power Extension Cable (Kettle Type). Kettle Lead Male - Female. The cable is also suitable to connect a monitor to PC base unit. IEC Mains Extension. Colour: Black. 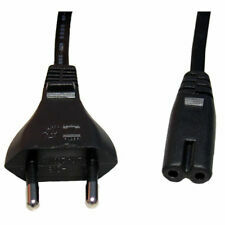 1m IEC Power Extension Cable (Kettle Type). Kettle Lead Male - Female. The cable is also suitable to connect a monitor to PC base unit. IEC Mains Extension. Connector A 1 - LP4 (4. pin ; Molex Large Drive Power) Male. Connector A 1 - ATX 12V P4 Power (4 pin; v 2. pin ) Male. Length: About 30cm Name: 24P to 18P Material: 1007-18AWG full copper tin Fit for: HP Z420 Z620 mainborad Color: Black Package Included: 1x ATX Power Cable Note: Light shooting and different displays may cause the color of the item in the picture a little different from the real thing. The measurement allowed error is /- 1-3cm. Brand Unbranded MPN Does not apply UPC 191466431276 EAN 191466431276 ISBN 191466431276 Designer/Brand Unbranded. Shakmods 24pin ATX Motherboard Heatshrinkless 30cm. This cable allows you to extend your 24pin cable further by 30cm, for modded pc it gives a better look and will. Red & Black Sleeved Extension 2 Clear Cable Combs. 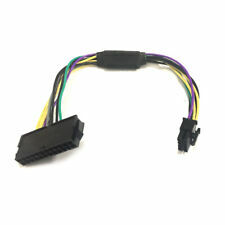 Connectors: 1 x 5.25 Molex (male) to 1 x 4 pin P4 (female). 4 Pin Molex Extension Floppy Drive FDD Internal Power Connector. Câble d'alimentation Type IEC-C8 Longueur: 1,5 mètres Couleur: Noir Connecteur 1: Prise mâle EU Connecteur 2: Femelle IEC-C8 Permet de fournir: Lecteur DVD et VHS, imprimantes et Fax, consoles et vidéo jeux (comme Playstation et Xbox), ordinateur et autres petits appareils. 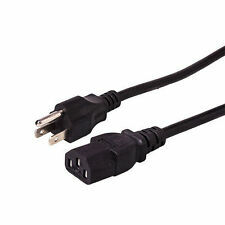 SKU : 006336. ,Ideal for extending a 4 pin fan power cable cable for up to 30cm. 30cm in length. 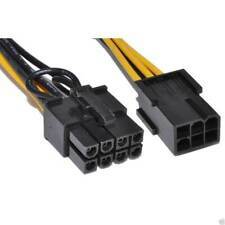 Molex - 2 x SATA Dual Hard Drive Power Cable. Connectors: 1 x Molex 4 pin - 2 x Sata 15 pin. Shakmods 24pin ATX Motherboard Heatshrinkless 30cm. This cable allows you to extend your 24pin cable further by 30cm, for modded pc it gives a better look and will. 2 Clear Cable Combs. 1 x24 Pin ATX / Motherboard Sleeved 30CM Extension Cable. SKU : 006339. 300mm 30cm in length. Twin 4 pin Male Sockets. 1 x 4 pin Female Plug. Shakmods 24pin ATX Motherboard Heatshrinkless 30cm White. Shakmods own proprietary 4mm Sleeving. This cable allows you to extend your 24pin cable further by 30cm, for modded pc it gives a better look and will. Shakmods own proprietary 4mm Sleeving. 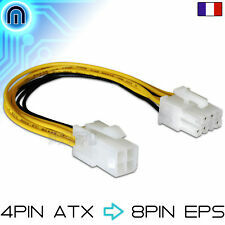 1 x 6Pin ATX / CPU White Sleeved 30CM Extension Cable. Its great value for money! With White connectors and 2 White combs. Complete with 4mm Cable Combs. Improve Airflow. This item is compatible for ASUS X555LD K555L A555L X555LJ Y583L ;. Compatible Model: ForASUS X555LD K555L A555L X555LJ Y583L. female 50pin 0.4mm pitch & 50pin male seat 0.4mm pitch connector for ASUS X555LD header and connector;. Ideal if you have just up-graded to a high spec graphics card. Connectors: 1 x 5.25 Molex (male) to 3 x 5.25 Molex (female). 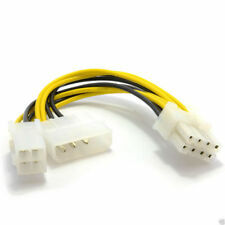 3 Way Molex PC Splitter Cable. Cable Type: 3 way adapter. 24-Pin female connected to Normal ATX 24-Pin, 2-port 6-Pin PCI-E connected to an HP mainboards. Material: 1007-18AWG full copper tin green line connector. HP Z220, Z230, Z240. 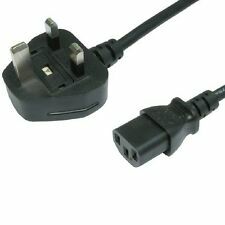 3m IEC Power Extension Cable (Kettle Type). Kettle Lead Male - Female. The cable is also suitable to connect a monitor to PC base unit. IEC Mains Extension. Colour: Black. Plug:IEC 320 C14 Male Socket 3x IEC 320 C13 female Length:35cm/13.78 inch cord is H05VV-F 3x0.75mm material:plastic colour:black packing:1*power supply Splitter Cord Note: Light shooting and different displays may cause the color of the item in the picture a little different from the real thing. The measurement allowed error is /- 1-3cm. Brand Unbranded MPN Does not Apply UPC 191466821497 EAN 191466821497 ISBN 191466821497. Parcel Included: 1 x 4 Pin Female ATX Power Connector 4 Free Pins. This connector is for connecting Power Supplies to computer motherboards. Colour: Black. SKU : 006337. Twin LP4 4 Pin Connections (5V pin not needed to not connected). Connectors: 1 x 5.25 Molex (male) to 2 x 5.25 Molex (female). 150mm Molex PC Splitter Cable. Length: 150mm (15cm). Cable Type: Y adapter. End 2: C7 Plug. Length: 3m. CAVO ATX 4 PIN M - 8 PIN F. Lunghezza cavo 20cm. SCONTI IN CASO DI ACQUISTI MULTIPLI,NOTEVOLE RISPARMIO! One of these cables will power any single GPU on the market, all combinations. Vengeance Series. CS-M Series. TX-M Series. HXi Series. AXi Series. 1x 4 pin Fan Y Splitter 20cm Sleeved Extension Cable. The extension cable is sleeved and heat shrunk on to the connector. Extends any 4 pin fan cable by 20cm. Split any fan cable to two. FRIWO FE4823 071F043 AC/DC ADAPTER 7,1V/430mA 5,5V/210mA Netzteil. Hierbei handelt es sich um je 1 Stück FRIWO FE4823 071F043 AC/DC ADAPTER 7,1V/430mA 5,5V/210mA Netzteil Neu . Anschlußstecker RJ11 Stecker, 6-Pin belegt. Fosmon’s universal power cable features a 3-pin shroud connector on one end and a 3-prong grounded male plug on the other end (IEC320C13 to NEMA 5-15P). 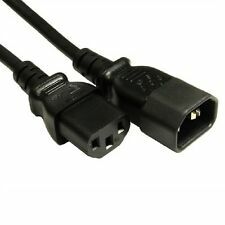 This 6 foot IEC power cord is compatible with devices with a 3-pin power connector, such as desktop computers, monitors, printers, scanners, projectors, TVs, and more. Brand New and Quality 24 to 8 Pin ATX Dell Optiplex 3020 7020 Power Supply Motherboard Adapter Cable Converter Cable For DELL Optiplex 3020 7020 9020 T1700 Length Approx. 26-28cm 18AWG wire ,0.18x34 copper , support 1000W power supply connector A 24pin ATX POWER SUPPLY connector A 8pin (DELLH61/H81/Q77/Q87/B75/A75/Q75/Q65) Compatiable with: DELL Optiplex 3020 7020 9020 T1700 Package include: 1x Power Adapter. And many more electronics using 3 prong power cord. and many more electronics using 3 prong power cord. 3 prongs USA standard power cable design. Product must be presented to us within the warranty period. Connectors: ATX 20 pin Female to ATX 20 pin Male. 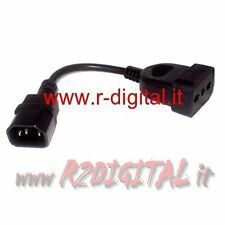 ATX Power extension 20 pin female to 20 pin male. Achieve that professional modified look. Improve Airflow. Vengeance Series. CS-M Series. TX-M Series. HXi Series. AX PLATINUIM. AXi Series. Port: Mini 6 Pin male to PCI-E 6 Pin male. PCI-E 6Pin plug in graphics card, if your graphics card is 2x6Pin interface, you need 2x6Pin power cord. Mini 6Pin plug directly on the apple motherboard dedicated graphics auxiliary power interface.